E-Tenders are invited for the work of “Up-gradation of Lift Lobby & Stair Case of main Office Building at NCSM Premises, Salt Lake, Kolkata – 700091” at an estimated cost of Rs.15,09,111/-. 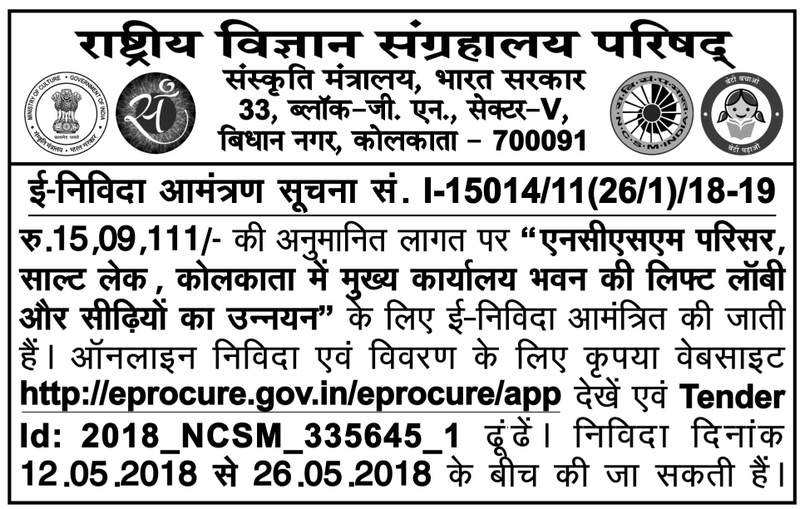 Please visit to website http://eprocure.gov.in/eprocure/app Search with Tender Id: 2018_NCSM_335645_1 for details & online tendering. Tenders may be submitted between 12.05.2018 and 26.05.2018.